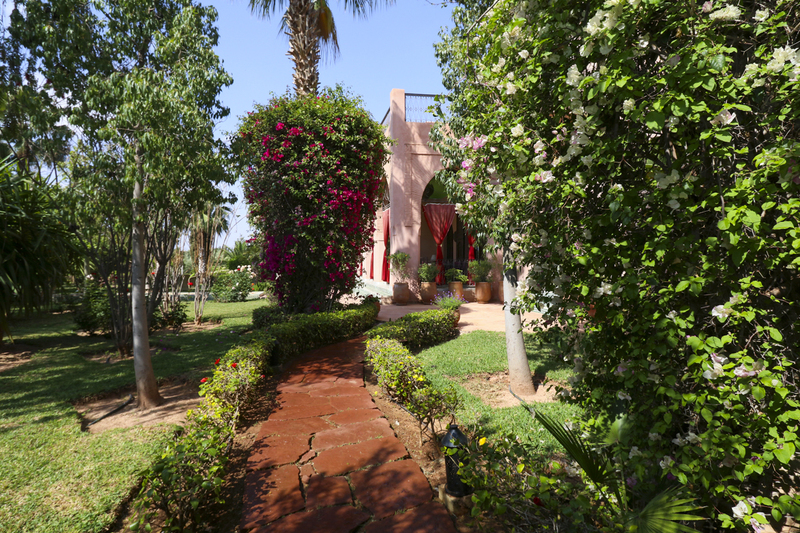 Nestled amongst 2 acres of greenery with stunning views of the Atlas mountains, Villa Zaria is a truly impressive Moroccan gem. 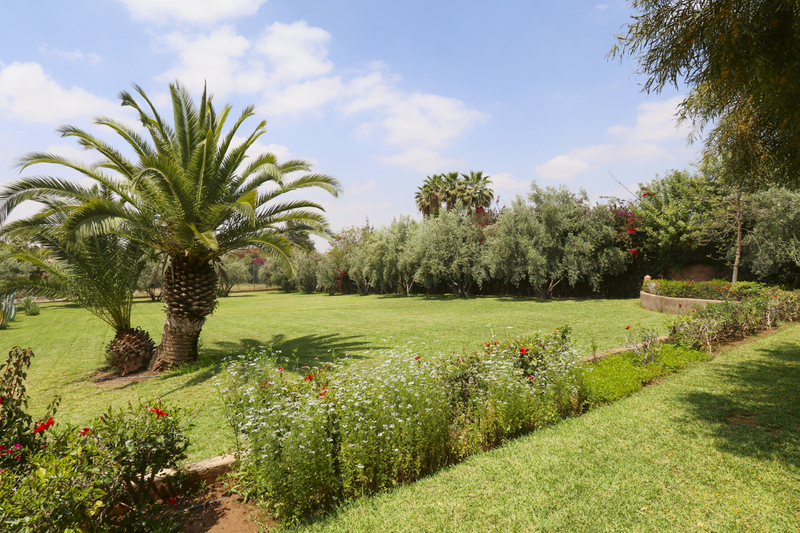 Surrounded by lush landscaped gardens infused with the fragrant scent of citrus fruit trees and the sweet scents of the lovingly manicured rose garden. 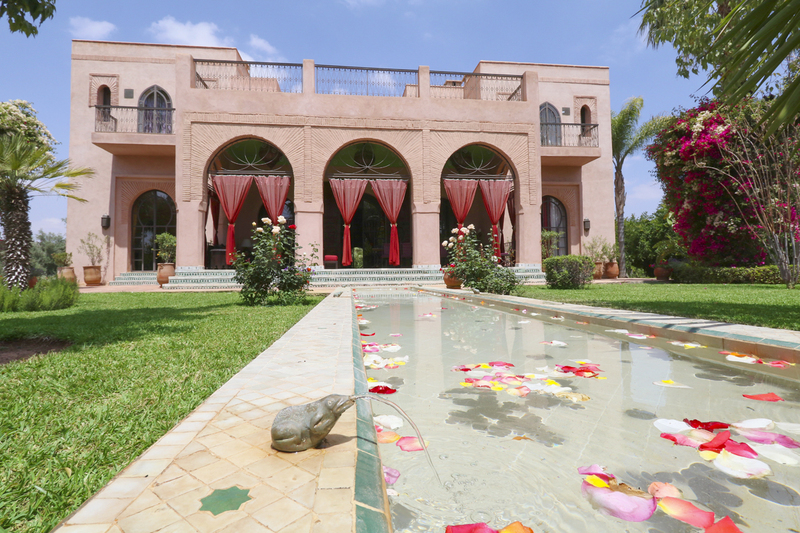 Villa Zaria’s pink palatial exterior provides the perfect introduction to the beauty that lies within this stunning property. 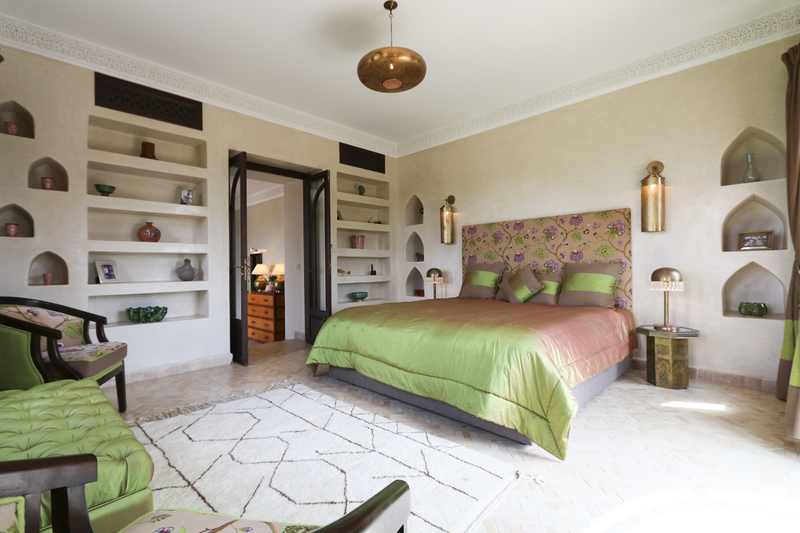 Inside the villa has been designed with high attention to detail, the spacious interiors are light and bright, comfortably accommodating up to eight guests. 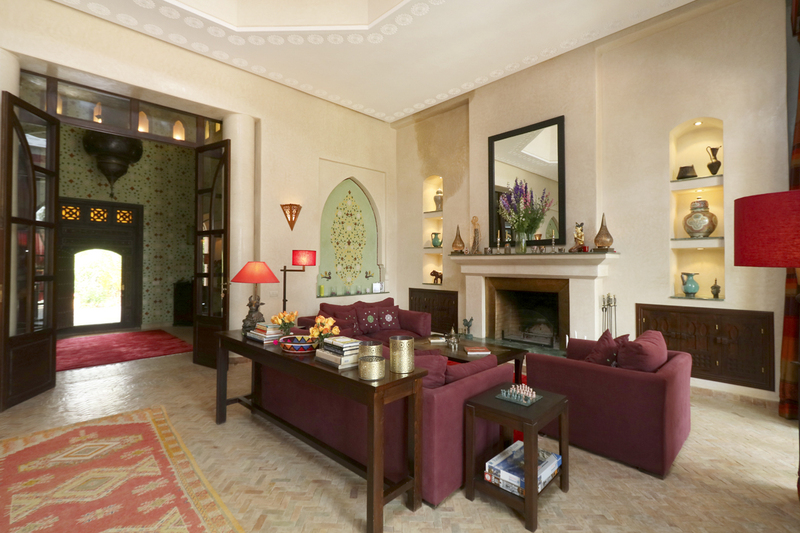 On the ground floor there are two stunning reception rooms, both large and airy one with gorgeous Moroccan interior and the other with a more European feel. 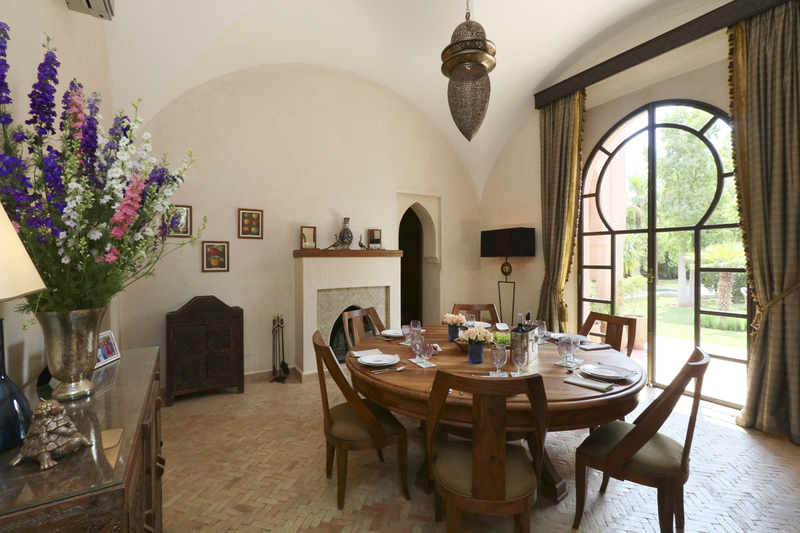 Guests can choose to cook up a storm in the large fully equipped kitchen, or for those wanting to completely relax, the villa's on-site chef can do all the work for you! 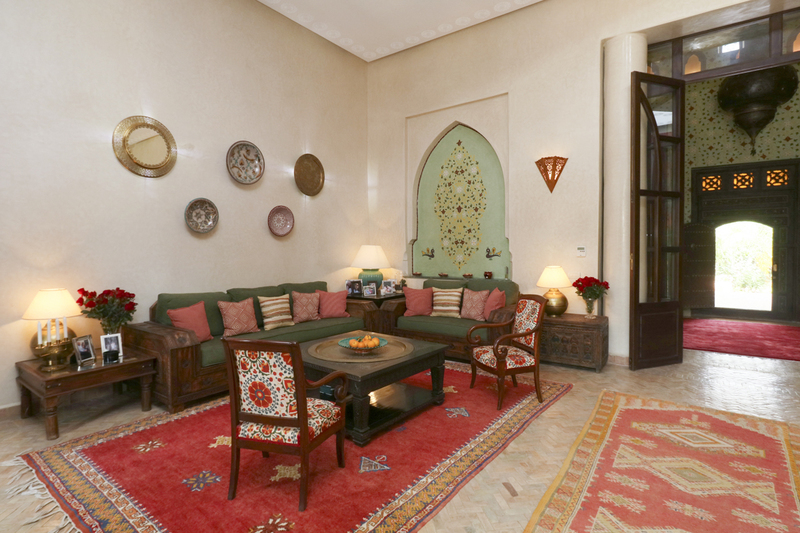 The spacious, yet cosy lounge makes a relaxing retreat to enjoy after a busy day exploring the bustling souks of Marrakech. 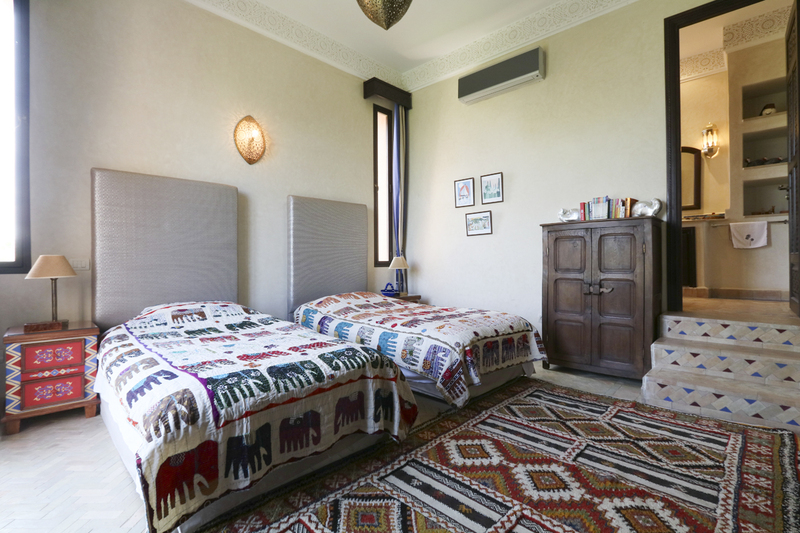 This floor also boasts the first of the bedrooms, a double complete with en-suite, dressing room and patio doors leading to the gardens. 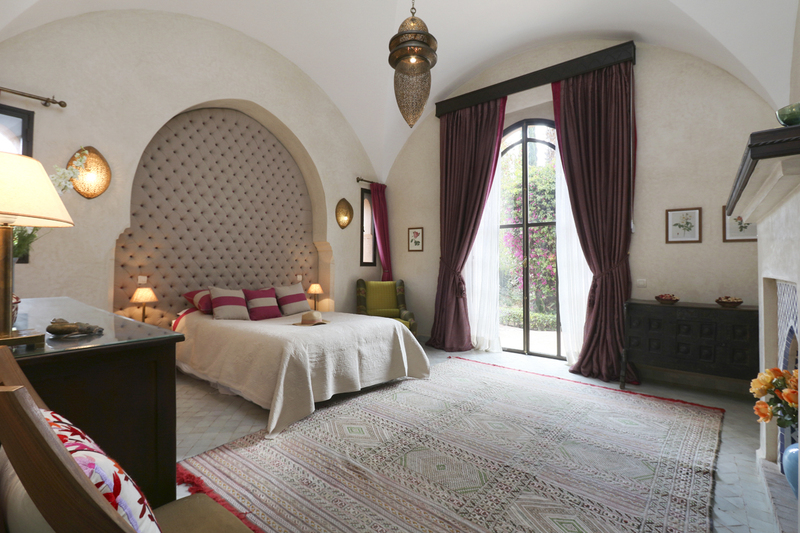 The first floor is home to the remaining three bedrooms, each decorated with calming Moroccan accents and all boasting en-suite bathrooms. 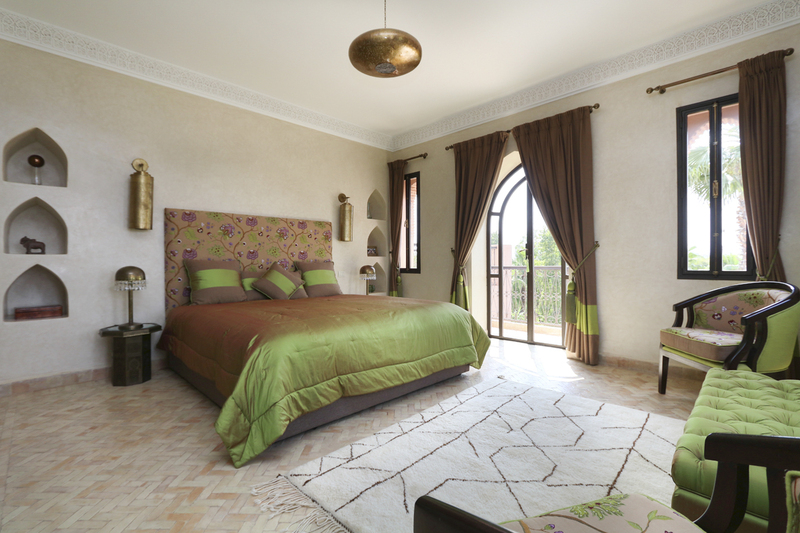 Two of the three bedrooms offer flexibility with the option to be set up with twin or double beds. 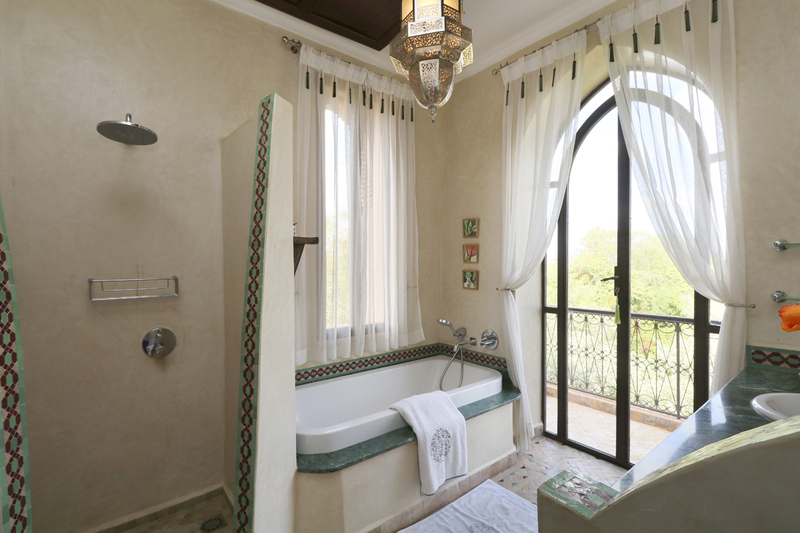 Guests are bound to argue over the beautiful third bedroom which boasts its very own dressing room as well as a balcony with outdoor terrace area. 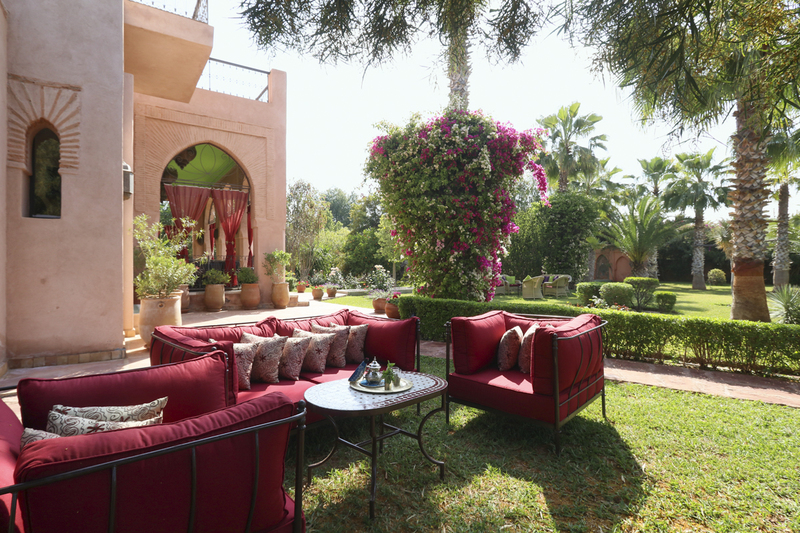 The real wow factor can be found on the rooftop terrace, the perfect spot to spend a relaxing evening with your loved ones stargazing in the Moroccan moonlight. 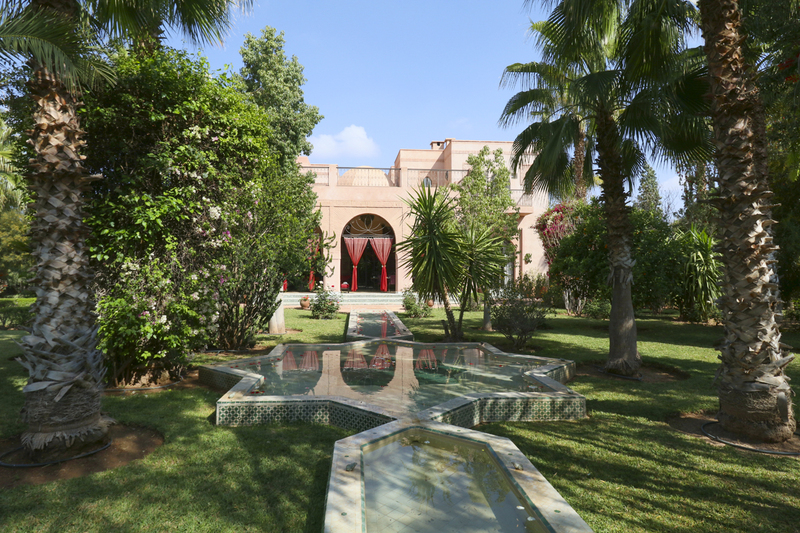 The gardens are just as wonderful, enclosed with high walls covered in bougainvillea and jasmine, they offer guests complete privacy from neighbouring villas. 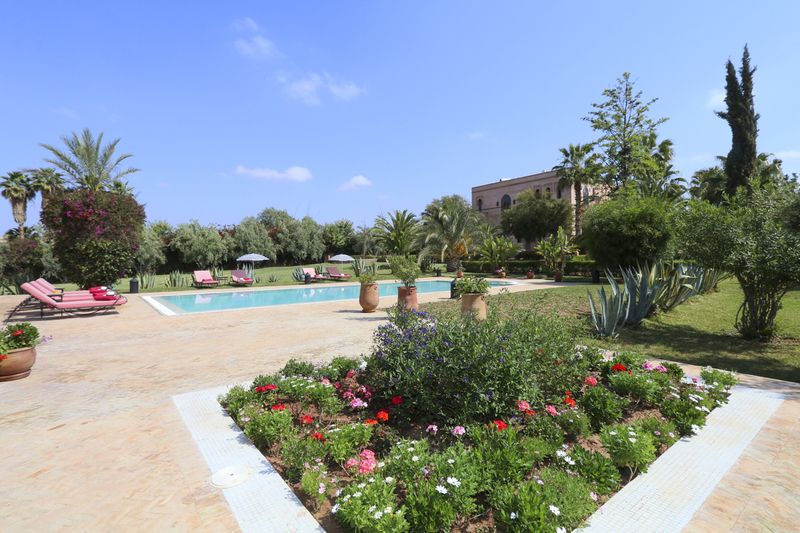 The large outdoor swimming pool is surrounded by sun loungers, perfect for sun bathing and relaxing in the warm Moroccan sunshine. 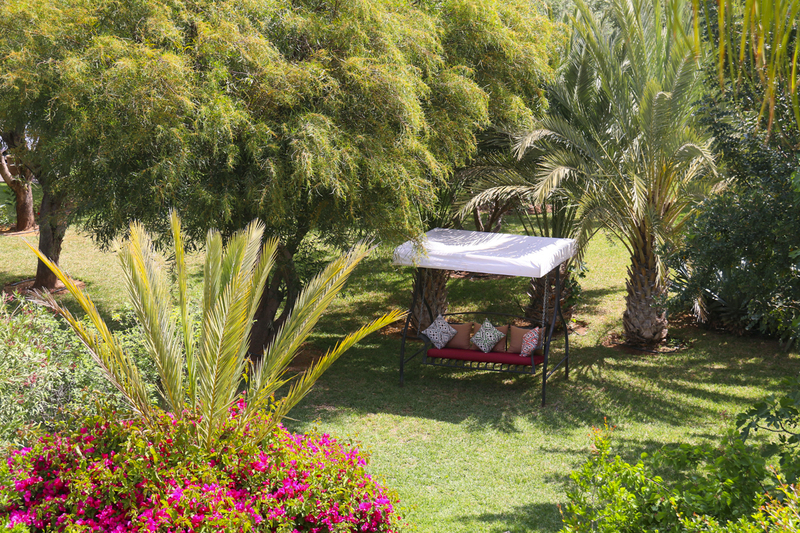 The shaded terraces that surround the villa provide the perfect sun relief whilst still allowing you to bask in the beauty of your surroundings while enjoying dinner al fresco or watching the sun set with a cocktail or two. 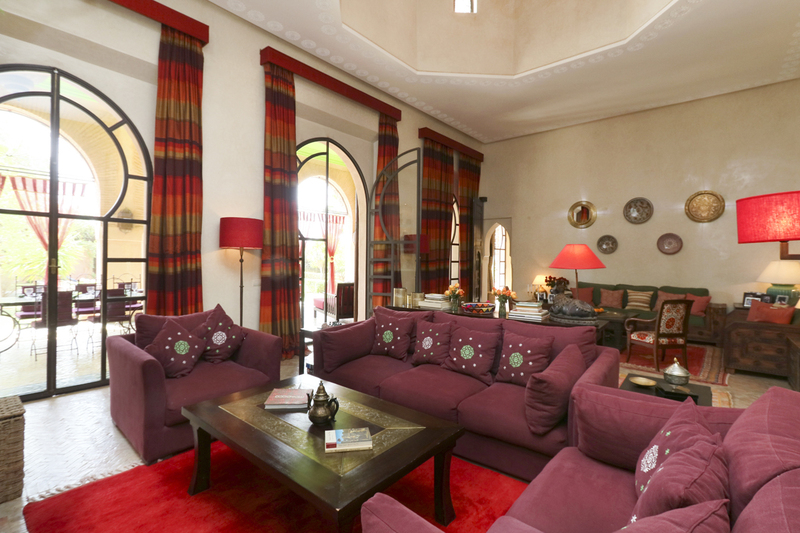 Villa Zaria gives guests the opportunity to immerse yourself in the bursting lively culture of Marrakech and discover your perfect Moroccan adventure. 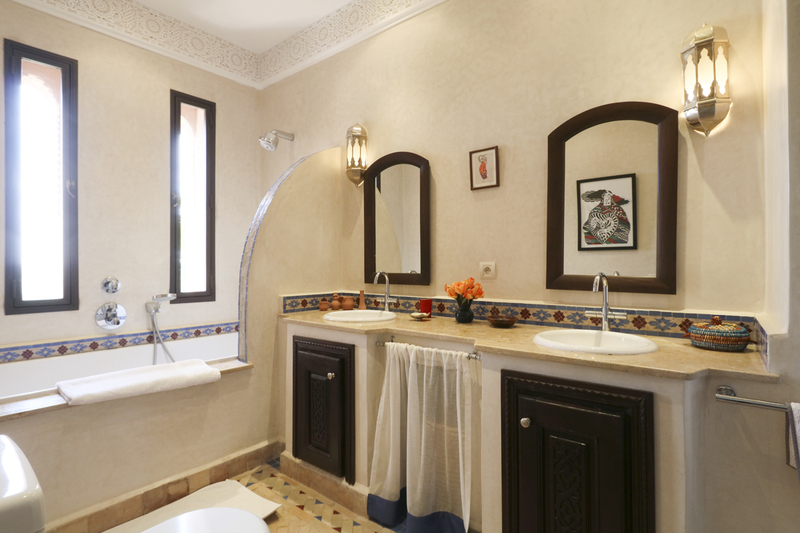 Marrakech, also fondly referred to as the “Red City” is located in Western Morocco, nestled against neighbouring countries of Algeria and Western Sahara. 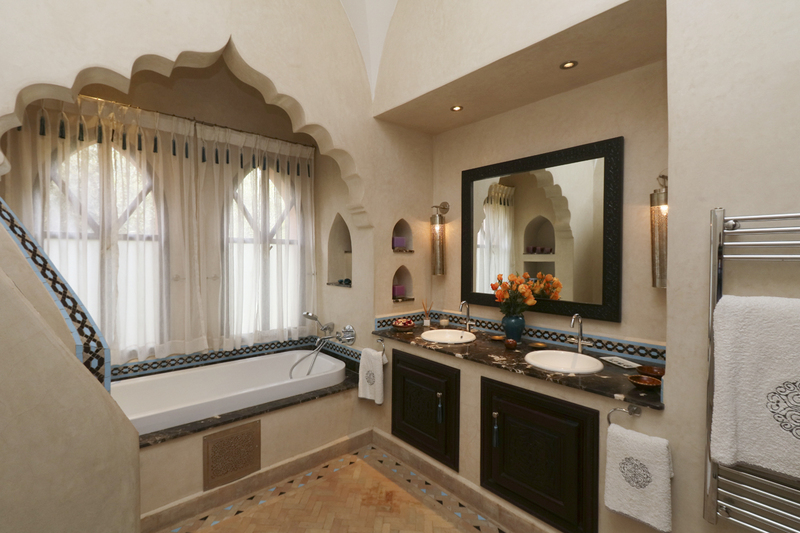 Set against the Saharan skies of Africa, this beautiful, former imperial city is just bursting at the seams with the rich culture. 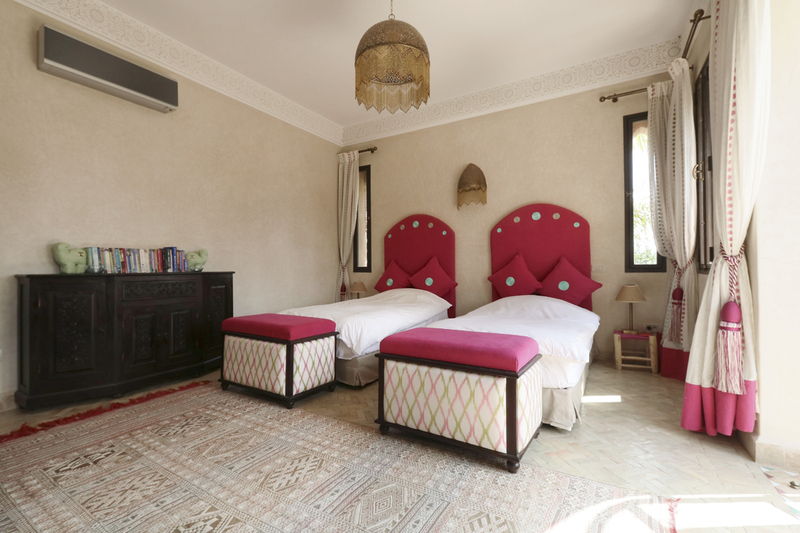 The rental rates at Villa Zaria include a fully staffed villa with cook, maids and breakfast each morning, please enquire for more information. 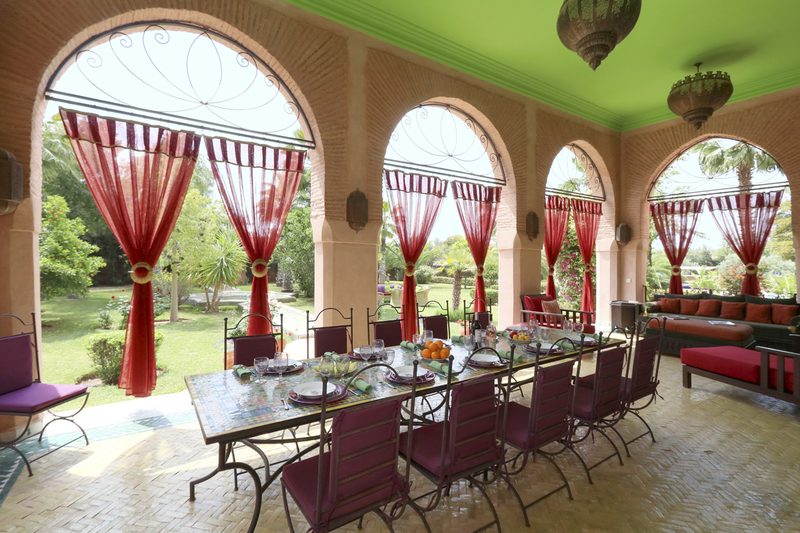 Please note that extra meals, drinks and any additional services are NOT included in the rental price and will be charged to you locally as an additional cost on your departure. 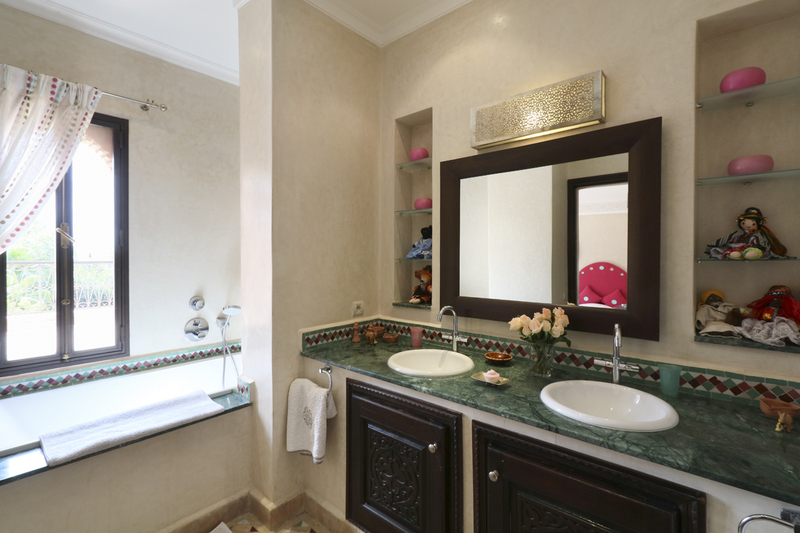 Payment for these additional services must be made in cash at time of departure as there are no credit card facilities at the villa. 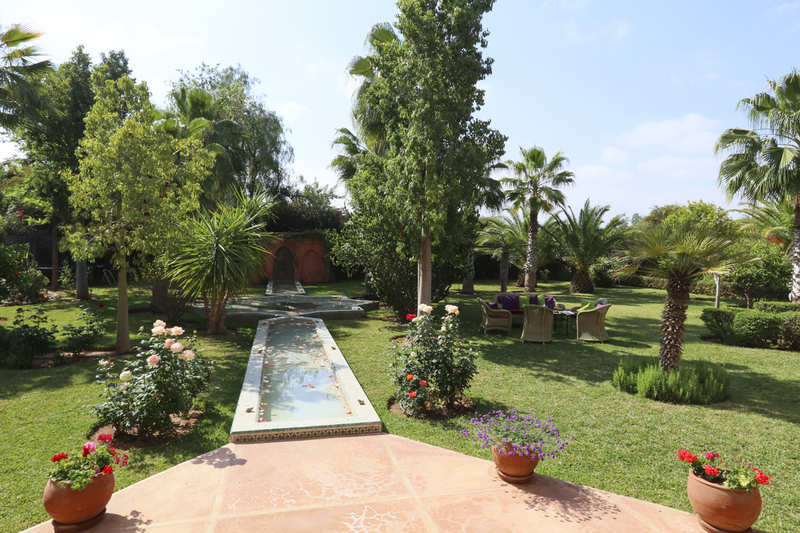 Guests can either choose from a menu prepared by the villa’s chef, or for a small delivery charge (€30), the staff can supply food sourced locally at cost, which the chef can prepare for guests at no additional cost.